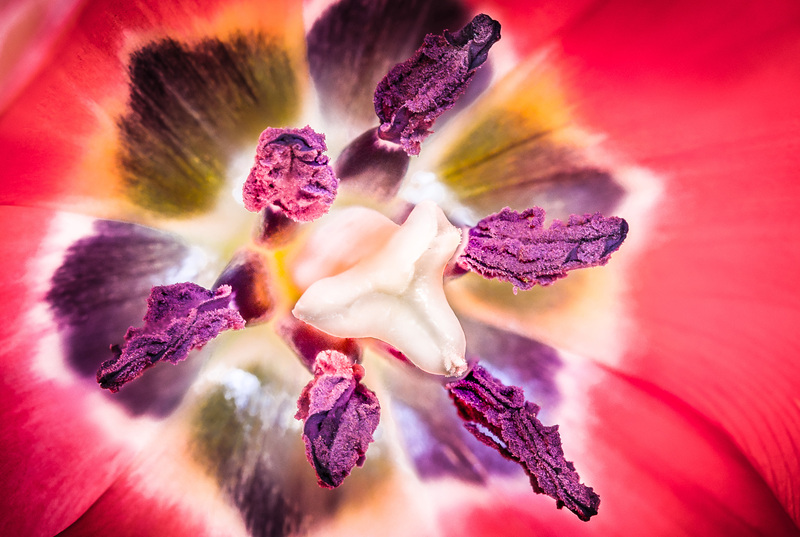 Tulips are a beautiful flower but this beauty revealed is all in the detail. Peering into the center of a single flower reveals a structure usually only paid attention to in text books and often only in the form of a monochrome line drawing with hard to remember names such as stigma and stamen. Attention to detail is not only important but beautiful too.